Haitian restaurant Chef Creole, started giving away free meals to federal workers at the airport. Orlando International Airport said they were holding a food drive this week for airport workers with the Transportation Security Administration. 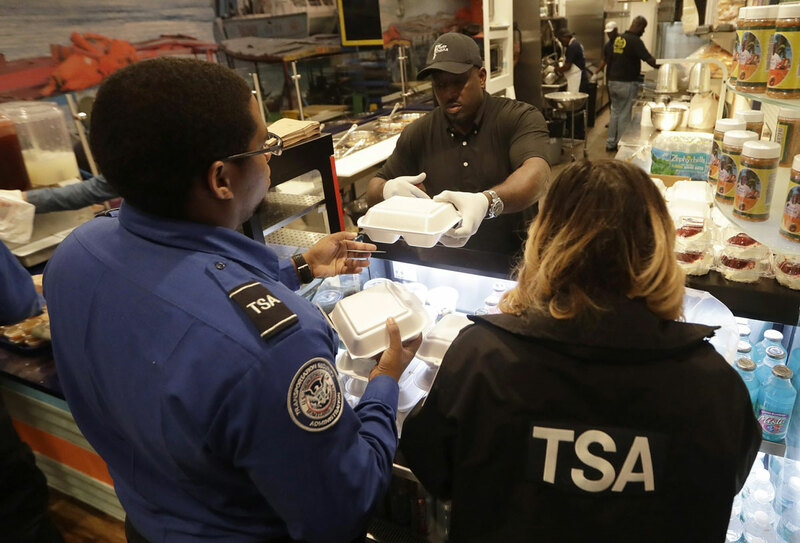 Florida airports are helping federal workers who aren’t getting paid during the government shutdown by offering free food, holding a food drive and opening a food bank. At Miami International Airport, Wilkinson Sejour, owner of the Haitian restaurant Chef Creole, started giving away free meals Monday to federal workers at the airport who are among the 800,000 federal employees affected by the shutdown that began Dec. 22. Sejour told the Miami Herald he had given away nearly 350 meals by Monday evening. He was preparing to serve 1,000 meals Tuesday. Some uniformed Transportation Security Administration workers couldn’t leave their spots, so colleagues brought lists for takeout. Sejour said he relies on workers for much of his business. When he heard them saying they couldn’t afford to eat there anymore, he decided to offer free food. Elsewhere in the state, Orlando International Airport officials said they were holding a food drive this week for airport workers with the Transportation Security Administration, Customs and Border Protection, and the Federal Aviation Administration. The Orlando airport is accepting food and toiletry donations from the public Wednesday. Other airport workers can donate food, baby supplies and toiletries Tuesday and Wednesday. The federal workers will pick up the donated items Thursday. At Tampa International Airport, officials were partnering with two charities to open a food bank so federal workers not getting paid can get food and toiletries.